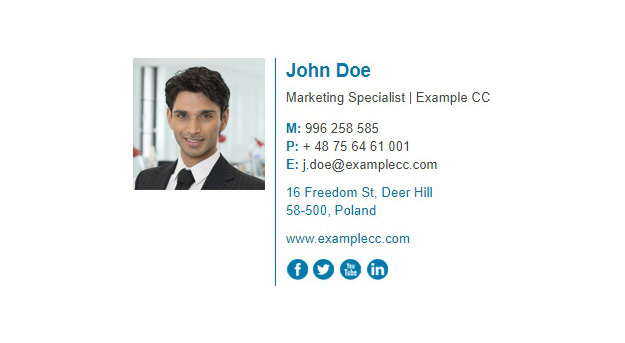 The two-column, logo-based email signature is a perfect choice for professional emails. A user’s photo helps to keep a friendly tone of the conversation and adds a bit of human touch to online correspondence. To do some tweaks, you can edit this template via online Signature Generator – just click the Edit signature button. To download it directly, click the Download button.